Domain authority is an important factor, while your website pages’ rise to the top of search engine page rankings or sink to the bottommost. While your users trust your website as an authoritative force in your company or among your competitors affect your brand visibility. Without having knowledge about domain authority, you could miss out on vital traffic and revenue chances. Just by increasing the inbound links to your website, boosting user experience and other techniques, you can improve your domain authority and grow your reach. Best SEO company in Noida can suggest you some good ways to increase your domain authority. It is very difficult to know what is causing your low domain authority and page rankings without probing into the data with the help of search engine optimization tools. For example, Moz has a search engine ranking tool known as domain authority that permits content managers to observe a score of their website’s domain authority from 1 to 100. Links are the main driver for site traffic. Link building is very essential to keep your rankings up. If users trust your website has the authority and want to spread your posts and message, they will link to your website. It does not keep matter for the numbers of links that count in the search engine rankings. The page and domain authority of the backlinks have an important influence on the quality of the incoming links and how they affect your own page rankings. Black hat SEO approaches applied on the websites are normally penalized by Google. While content managers do not employ these techniques, their websites may downgrade because of low-quality links. After the update of the Penguin algorithm, websites have penalized for low-quality links. So, you should be aware of such types of penalties. User experience is an important factor, whereas visitors determine to link to your website. if your website is difficult to navigate or links to the pages that no longer exist, it makes more difficult for users to find out what they are seeking for. To improve your whole user experience, you need to review your website navigation and content structure. See if it is very simple to discover specific pages just by breaking down content into particular segments and subsections. Optimization of internal linking is another way of increasing user-experience. If users discover content, they are very interested into your site and they will click on related pages. For this purpose, confirm that your pages have sufficient internal links to related pages. 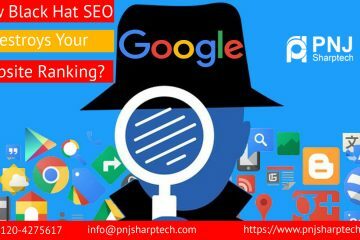 There are some powerful SEO tools that enable you to compare your websites with your competitor’s websites in terms of domain authority, keyword rankings and numbers of links and many more. Thus, you can see your search engine rankings and can improve search engine standings. By keeping an eye on the competitors, you can make an effective strategy to beat your competitors and come ahead easily. 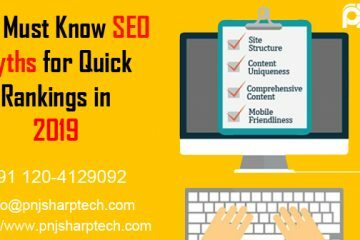 Still, if you have any doubts, you can choose any reliable and best SEO company in Noida to know more simple ways to increase domain authority. SEO experts are very knowledgeable to guide properly for any difficulty. Conclusion- Domain authority is certainly important for numerous reasons. It permits you to judge the whole performance of your site. It lets you compare your score to that of competing for the sites to see where you stand. How Black Hat SEO Destroys Your Website Ranking? What is The Best Time to Post on Social Media Channels? Which one is better responsive web design Vs Mobile Site? 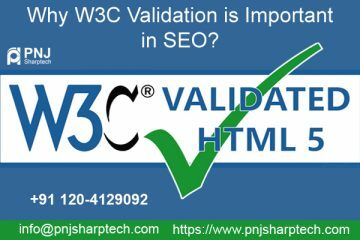 Why w3c validation is important in SEO?